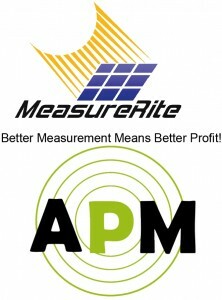 To expand upon our existing portfolio of leading process solutions, Mead O’Brien recently added the APM Automation Solutions products through a representation agreement with MeasureRite, Inc. the first North American importer/distributor of this technology. In addition to years of experience proving innovation to measuring the volume of bulk solids in silos, domes, and various open bins, this technology can provide a 3D map of the surface of the material. We have successfully implemented the first application with an inverted cone in the bottom of the silo. Also, APM expanded their offering with the RL2000 for more simplistic level applications where radar still may not be viable due to low dielectric material. Plus, they’ve implemented a version for use as a Real-Time Position Tracker. This is ideal for tripper cars, stackers / reclaimers, bunker dischargers, cranes, and continuous miners. Ask your Mead O’Brien representative for more information about your specific application.